Are you planning any Phuket Tours or are you looking for activities to enjoy while you’re on holidays? 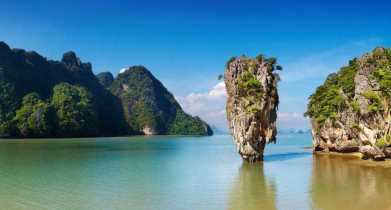 Maybe you would like to plan a day trip to Ko Phi Phi or to explore the sights in Phang Nga Bay, or go island hopping around the offshore islands and sightseeing around Phuket Island. If you are, be mindful that when you arrive in Phuket you will be bombarded with touts and tour agencies trying to sell you tours. These types of tours are okay, however if you would like to experience the best tours and see the real Phuket, with the knowledge that the agency that you are booking your tour with holds the appropriate licenses and are fully insured, you should talk to our friends at Easy Day Thailand. Easy Day Thailand offers a full range of tour packages and can customise tours and day trips just for you. Send the guys at Easy Day Thailand a message to find out more. Easy Day Thailand is a licensed tour agency with the Tourism Authority of Thailand, and has been operating in Phuket since 2010. Our friends Ingo and Diego and the team at Easy Day Thailand provide a professional and personalised service for their customers and can assist you with a range of travel information and holiday tours around Phuket and beyond. They can also assist you with airport transfers, ferry tickets, bus tickets and a full range of fun activities for you to do while your in Phuket. As you are probably aware, Phuket is loaded with things to do and see from the beautiful beaches and amazing viewpoints to a host of activities that you will find across the Island. But there is more to Phuket, it is also a fantastic departure point allowing you easy access to some of the most picturesque locations in southern Thailand. The hardest decision when planning any holiday tours, is deciding which tour is best suited for you. 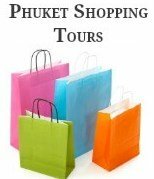 Below is our pick of the top 5 Phuket tours, but if these are not for you there are loads more to choose from. If you still find it hard to decide you can contact the guys at Easy Day Thailand who will be happy to assist you with planning and customising a tour just for you. Easy Day Thailand offers a range of tours to Phang Nga Bay, including their customised private tour, this tour is one of the best tours to take while in Phuket, especially if you want to see the sights without the crowds. 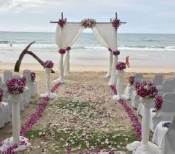 This tour is also available for people staying in Khao Lak and Krabi. A must do Phuket tour is a visit to the Phi Phi Islands. If you don’t have time to stay a couple of nights on Ko Phi Phi, there is a range of fun day trips and tours that you can enjoy, including speedboat tours, ferry tours and for the ultimate, travel in comfort and experience first class service on the Premium Ferry Tour. Below is a list of the best Phi Phi tour packages available from Phuket. The standard ferry tour includes: Land transfers | return ferry transfers | on-board refreshments | snorkeling equipment | Buffet Lunch at Phi Phi Don | English speaking snorkel guide. For added comfort the Premium ferry tour is a must, as well as the above inclusions you will travel in style in the Premium Class exclusive Lounge and see the sights of Koh Phi Phi from your private sun deck. On arrival at Phi Phi Don, Premium passengers will be transferred to a speedboat to see sights of Maya Bay and enjoy a buffet lunch at Phi Phi Long Beach Resort. The Early Bird Speedboat Tour is a join-in Phuket tour which gets you to Phi Phi before the crowds; the tour includes snorkeling and a choice of activities on Phi Phi Don including a hike to the scenic Pee Pee viewpoint. From Phi Phi Don the tour will take you to the beautiful Bamboo Island for swimming, snorkeling and a picnic lunch. After lunch you will visit Phi Phi Leh, where you will see the Viking Cave and the famous Maya Bay. The Sunrise tour arrives at the popular Maya Bay early before swarms of other tour boats arrive later in the morning. This speedboat tour is also a join-in tour and includes sightseeing around Phi Phi Leh, snorkeling, a buffet lunch at Phi Phi Don. After lunch you will visit Bamboo Island where you can swim or snorkel directly off the beach. 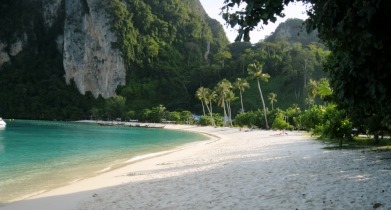 Easy Day Thailand can also arrange scuba diving tours around the waters of Koh Phi Phi. Price includes: Land Transfers | Food & Drinks | Scuba Tanks | Weights & Weight Belts | Experienced PADI Instructor, plus much more. 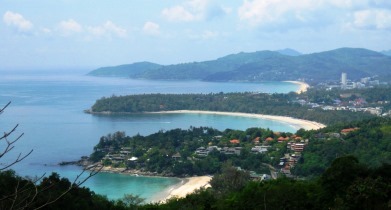 Phuket has lots of beautiful sights worth exploring including spectacular viewpoints, temples and shrines. Not to be missed is a visit to the local markets. If you don’t have a car or want to ride a motorbike this Phuket tour should be at the top of your list of things to do. 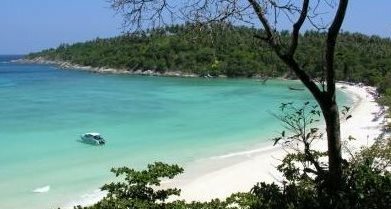 There is a selection of tours available to Racha Island, however their premium day trip is definitely a stand out as it has a late departure to miss the crowds. This tour includes lunch at the Baan Raya Resort on Racha Yai and use of the resorts infinity swimming pool when you have finished snorkeling. If you are after a private speedboat to explore nearby islands with friends or family, Easy Day Thailand have a range of Island hopping tours to choose from, including half day tours, full day tours and dinner cruises. For prices and further information or just to have a chat about their Phuket tours contact the team at Easy Day Thailand on the link below and fill your details into the contact form. Easy Day Thailand are like a one stop shop for all your travel needs, they can also assist you with airport transfers, adventure tours and transfers to and from other destinations in Thailand.